Lindsay Porter is an author and editor specialising in the print and visual culture of the 18th and 19th centuries, with a particular interest in popular perceptions of authority and elitism. 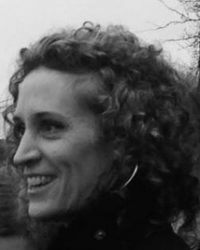 Her research interests focus on the relationship between popular beliefs – including rumour, myth, folklore, and collective memory – and political action. Books include Who are the Illuminati? (Collins & Brown, 2005), a history of the geneology of the Illuminati myth, which was translated into several languages, including Bulgarian, Czech, Romanian, Russian, and Turkish; Assassination: a History of Political Murder (Thames & Hudson, 2010) (French, Romanian, and Japanese), and Popular Rumour in Revolutionary Paris: 1792–1794 (Palgrave, 2018), a version of her doctoral thesis from the University of York. She has also contributed to Conspiracy Theories in American History: An Encyclopedia (ABC-CLIO 2001). She is currently working on a new project on the history of fake news.